I needed a relaxing de-stress zone from the mania of new parenthood. Since Ashen seemed set to the tune of Dark Souls, a chillaxed ride through a lighthearted fairyland looked off the table. Alas, Ashen surprised me by satisfying the impossible order to sate a Soulsian hunger while providing soul-respite. So there I am, dodge-rolling out of the way of another faceless bandit—just as I heavy-charge my decisive mace blow, netting my “Scoria” account with just enough points to reinforce my blunt trauma instrument. It’s standard prep for where I’m headed: into the first boss lair, where I expect to die several times before learning to read the big bad’s move sets. Instead I’m surprised. My first “throw-away” attempt to beat a boss transforms into a “near-victory,” thanks almost entirely to my companion—who does half of the heavy lifting, without so much as a “summon sign” request for help. This isn’t the first assistant I’m paired with. But it’s the first time I trust them. I didn’t realize how much I needed a good video game sabbath: a reflective pool of “barely enough challenge” to get over this first month of new-parenting-apocalypse. The easiest way to tell if the companion is just an AI is if they wait with you as you stand still for more than a second. If they run off, leaving you to deal with enemies alone? That’s another player. Easy tell. Conveniently, the AI provides semi-reliable BFF services: ensuring a 78% success rate at mowing down lumbering mobs—or picking me up when my health dips past zero. 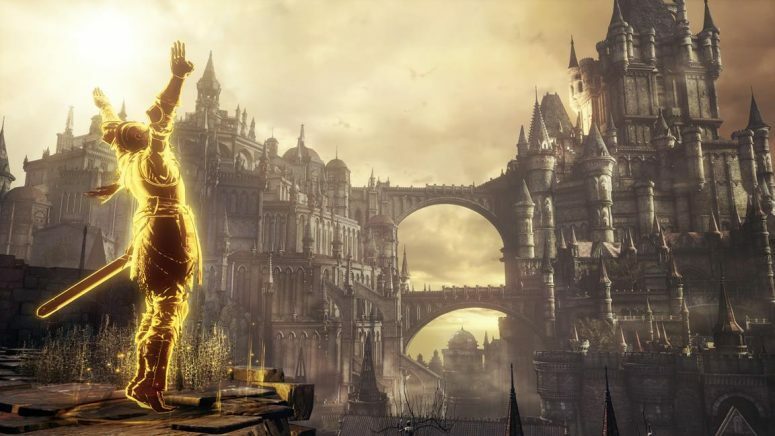 If Dark Souls’ mantra is “You Died,” Ashen’s is “Your buddy is on their way to give you a second chance.” While it’s not to say that Ashen is “too easy,” it works towards the game’s greatest theme which is found at the game’s hubtown, Vagrant’s Rest. Vagrant’s Rest starts as a bandit camp, but after establishing it as your new neighborhood, construction begins. Well, okay. Construction really begins when you complete quests. Every completed sidequest transforms your town—a handful of bricks at a time. Walls go up, fireplaces go in, storage chests get constructed, and workstations are installed. Ceilings went on roofs as I neared the completion of the game—putting literal capstones on completed character sidequest chains. This home-building trajectory went beyond cosmetics. Vagrant’s Rest developed a palatable emotional benefit refuge. I think I felt it when our fast-travel servicer moved into town, creating a real post-college sense of “I can go into the world, but my folks always have a place for me to rest my head.” As each new character joins your camp, they bring a further sense of “we can make the world a better place.” It almost seems like Ashen reaches too high of a note. Ashen delights in high places. Exploration caters to a verticality. 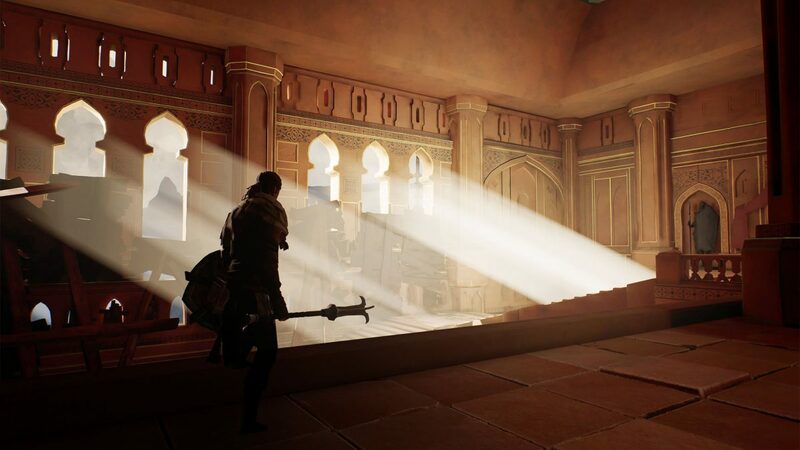 I looked for every climbable surface—to seek out another tactical long jump spot—to that glowing corpse pickup on the top of those ruined ramparts. Even when I plummeted to my demise, I’d be surprised at how far I could fall and still be alive. It made me take risks I would rethink in other Souls-like games. 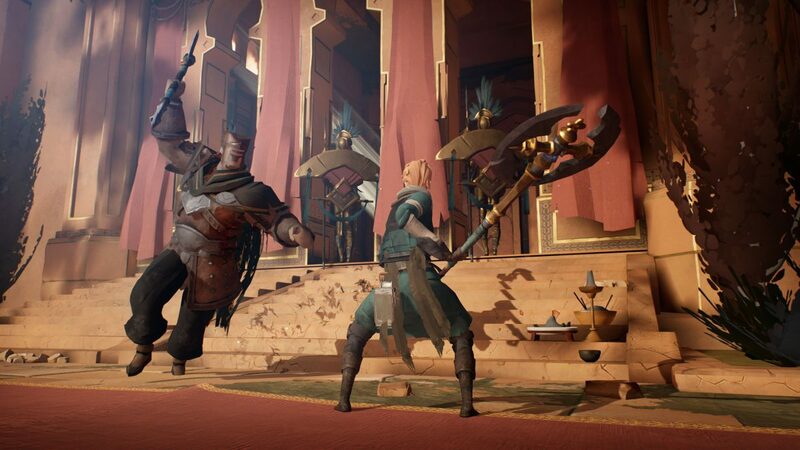 That’s not to say that Ashen doesn’t have insane difficulty spikes. Just after I saw a massive town-sized sky whale take up roost, I found a rabbit hole that descended into a light-swallowing Wonderland of hurt. This seemingly endless maze of darkness required a bit of head bashing. While the grand sum of the game feels like a delightful romp through Undead Burg, there’s an occasional Blighttown or two. I bottlenecked in two trouble zones. Plus the final boss fight requires near-perfected AI dependence (or the perfect online partner). Despite these deviations from the game’s restful spirit, it sticks to the heart of R&R. I didn’t realize how much I needed a good video game sabbath: a reflective pool of “barely enough challenge” to get over this first month of new-parenting-apocalypse. 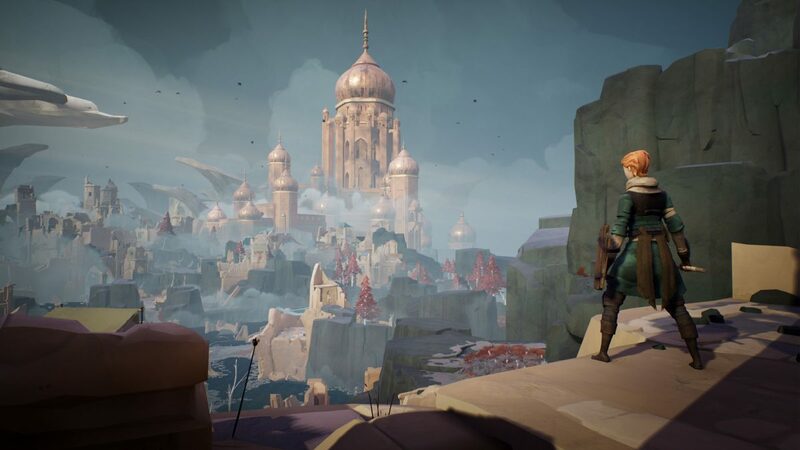 It’s weird to say it, but Ashen‘s town-building and medium difficulty are just what the doctor summoned. 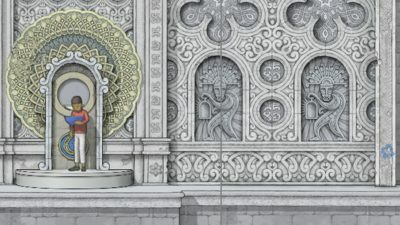 Gorogoa is more than a beautiful hand-drawn and innovative puzzle game, it mechanically illustrates of our own personal disassembly of those moments in our lives that require shifting and rearranging.